GREAT OVER THE PHONE ORDERING WITH EASE FOR US OUT OF TOWNERS WITH FAMILY IN THE HOSPITAL. THANK YOU JASMINE YOU MAKE LIFE CHEERFUL. 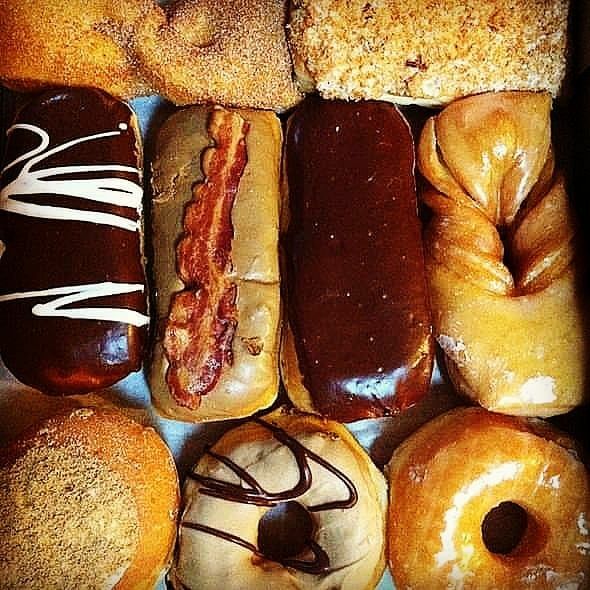 Best donuts ever! Love them! Staff is also fantastic. One and only Bakery I go to!! I started going to Nord's in 2012 when my husband started going to Jewish Hospital every 6 weeks. It was on the way back from the hospital so decided to stop in one day and was barely able to pick up one of their Pecan Danish and I was hooked. When we go back every month for his check ups now we pick up the Pecan Danish to bring home with us because my 87 yr old father is hooked on them and wants to make sure we bring him some home to him now. They are the best and have bought their cookies to give out as treats to the medical personal and hotel staff for special occasions. Even took one to the bakery in town where we live at and they even said they were better than theirs. Keep up the good work. I've got trouble with Nord's Bakery. It is on the way to one of the schools my wife substitutes at. CAN'T GO BY WITHOUT STOPING Literally the Best. I've patronized this bakery since I was a small girl, when it was Klein's. Your donuts and cakes are second to none!